Form Creator sub user accounts see the same user interface that you see when they log into logiforms. 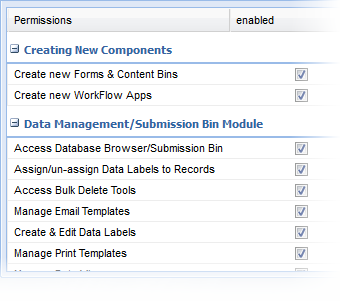 You can configure what tools they have access to by defining Access Permissions on the Access Permissions screen of the sub user wizard. When permissions for a module, 'AutoResponders' for example, is revoked, the AutoResponder Module icon will no longer be shown on the desktop or in the start menu. Access to that module is completely revoked for that sub user. The Form Creator sub user account type is not available in a private label / non branded interface like the Data Only subuser.